What role should you play? Shop to protect your rights! Disclosure: The author of this section is a lawyer. I’m sitting here writing about when and how to select an attorney. So you need to know my perspective. I don’t think lawsuits are a particularly effective way to solve problems, particularly occupational safety and health problems. I think that strong action at the worksite by a group of organized workers produces the best result. That’s because it is quicker and it generally works. But you have to be knowledgeable and organized. That’s why I believe in unions. But even without a union at your workplace, if you get together with other workers and take action, you will have a decent chance of succeeding. Are there risks in action? Always. One is that you will be fired. A bigger risk is if you do not stand up for safety on the job, you or a friend will be killed or maimed. Those risks are minimized when you have a union. If you don’t have a union, at least involve as many of the workers at the jobsite as is possible. BUT even then some risk remains. Do you need a lawyer to file a complaint with a government agency — to protect your collective rights? Not necessarily. Will a lawyer do a better job? S/he might – but ONLY if s/he has experience filing complaints with government agencies. Unfortunately, few attorneys have experience filing occupational safety and health complaints. And most workers understand better what is going on at their workplace and can file an effective complaint. The workers just need to get together and take the time to do it well. Need help? 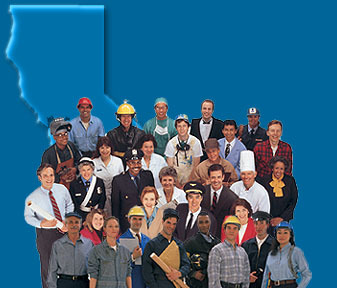 Take a look at the Guide to Workers’ Health & Safety Rights and Filing a Cal/OSHA Complaint. The process described there should help you file a complaint with any government agency. And call your union before you act. Do you need a lawyer to pursue individual rights? Depends (sounds like a lawyer huh?). It’s pretty difficult to pursue a legal action in a court without an attorney. It’s pretty difficult to fix an electrical problem without an electrician. It’s a bit easier for a worker to pursue a legal action in an administrative setting (workers’ compensation or an initial complaint with the Department of Fair Employment and Housing or the Division of Labor Standards Enforcement, etc.) But there too the issues might get complicated and you might need to do something more than just change a light bulb. If you are going to work with a lawyer, you need to find the right one. And you need to understand why you might want to work with one. Remember, lawyers have political perspectives just like any other person. When individuals or unions seek a lawyer, they should be aware of the political perspective of that lawyer because it may well influence the type of legal arguments, the amount of energy the lawyer will invest, the fee, etc. Plumbers generally don’t do electrical work and electricians generally don’t do plumbing. Attorneys also specialize as the law covers many subjects – although some are generalists. Whoever you chose, it is important to try to find an attorney who is familiar with, and has some experience in, handling your type of problem. Lawyers give advice. They are trained to argue both sides of any issue, although most lawyers have a point of view and the best of the bunch usually stick with one side or the other (you’ll figure out who is always on your side). Arguments are based on law and facts. Generally, there is no absolute right and wrong because both the law and the facts are often not black or white. The law is not an absolute. It is often a matter of interpretation. The law is determined by looking first, at the words written by a legislature or at regulations issued by an administrative agency, and second, interpreting those words. Additionally, one must look at cases decided by courts and/or administrative judicial bodies interpreting those words. Facts too are generally not an absolute. They are often a matter of interpretation. Different people see the same things in different ways. Since the resolution of a legal case is determined by applying the law and the facts, the facts must be thoroughly investigated. A lawyer must not only know your understanding of the facts, but also must know your opponent’s version of the facts. Most important to remember is that arguments are based on the actual facts of a given situation. Thus no lawyer can or should give you an opinion without knowing both the law and the facts. Consumers of legal opinions make decisions about how to proceed. The first decision the consumer must make is whether to get a lawyer. The next is whether to get a different lawyer. If the lawyer cannot speak to you in English or the language you understand, as opposed to “legalese,” get another lawyer. You also should make other critical decisions in the development of your case. A lawyer must be able to explain the categories of law and the particular laws that apply to you, your responsibilities, rights and remedies (what you can get) under the law. Good lawyers make recommendations, but you make the final decisions. They explain issues and present arguments on both sides of the issue. Then they ask you to make decisions. Ask a lawyer in an initial consultation to identify your decision making points so that you know what you will have to decide. Be a good consumer. Interview more than one attorney. Many attorneys will give you, for little or no charge, a consultation as to whether you need an attorney. Ask yourself whether you like the person, and whether s/he is sympathetic with your situation. Does the attorney speak to you in English, as opposed to “legalese”? Does the attorney seem to know what s/he is talking about? Does s/he seem concerned with you and your problem? Will s/he let you make the critical decisions in the case? Find out the differences among the attorneys you interview: fee structure, how they think the case might be handled, how you will be involved, size and experience of the firm and the individual lawyers in the firm, case load of the firm and the individual lawyers in the firm. Does the lawyer or firm specialize and do you need a specialist? Remember, you are the consumer, the attorney is not doing you a favor by taking your case. On the other hand, the attorney is a professional and if you hire a lawyer, you should be prepared to consider his/her advice. Don’t just surf the net and pick up the glitzy part of some attorney’s pitch. Study the content of the website. Does it tell you what attorneys are part of their firm and give you their biographies? Do those biographies let you know how much experience the attorneys have doing the kind of work you need them to do (are they trial attorneys and do you need a trial attorney, do they have experience doing the kind of law you need done)? Do those biographies tell you where they worked in the past and what they have accomplished in their legal lives? Do they tell you where they went to school, what else they do in their lives that might give you a clue about their commitment? Does the website tell you something about the firm, give you information about the firm’s perspective (which side are they on), commitment to issues you think are important, etc.? Will you be dealing with a small firm or just one attorney who might not be able to allocate the resources necessary to sustain a fight? Will you be dealing with a large firm or so many attorneys that you won’t have any personal attention? Don’t just call the guy with the flashiest website, the nearest billboard, or the biggest ad in the yellow pages. Check it out by phoning the local bar association and asking for information. Check the backgrounds of the attorneys in some of the standard books that publish this type of information (such as Martindale). Think about doing a quick website search of your local newspaper to see whether the firm or any of their attorneys has ever made the news (and whether it was good news). Since fees are a pretty important issue to consider, let me note there are a couple types of fee structures. First, some fees are governed by law. For example, in cases in the California Workers Compensation system, the injured worker’s attorney is limited to a certain percentage of the total cash settlement (usually from 12 – 15%).1 Of course the insurance company or employer’s attorneys get paid a lot more, but what did you expect? Second, some fees are hourly. Lots of legal work is done on time and material at hourly rates. So you’ll need to comparison shop not only the actual hourly fee, but find out how long the matter might take and then figure out whether the estimate is reasonable. This is where a specialist should come in handy. He or she might charge more, but if they are truly a specialist (either by virtue of experience and/or experience plus a certification that is available through the State Bar), they might cost a bit more per hour, but be able to do the job quicker (and thus cheaper). Third, some fees are contingent. That means the lawyer takes a percentage of your settlement (as in workers’ compensation), however, often the percentage isn’t controlled by law. Most personal injury lawsuits (not workers’ compensation which is a no-fault claim only against your employer) are handled as contingency fee cases. It also usually means that if the case is not successful, you get nothing and the lawyer not only gets nothing, but also has taken a loss both on their time and on the expenses. So what do you need to think about when comparing contingency fees. Obviously the percentage is an issue. And be sure to find out exactly when the percentage increases. Many firms charge 33 1/3% up to a certain point and then perhaps 40% after that (usually when the case reaches some point where it is being worked up for trial and thus the lawyer anticipates they will have put in a lot more work). Read the retainer fee language carefully. With contingency fees one sub-issue is expenses. Some retainer agreements take costs out of the client’s share. A better way is to take the expenses from the entire settlement, off the top, and then the firm and the client take their respective shares. This keeps the attorney from wasting the client’s money on unnecessary and exorbitant expenses, perhaps charged by enterprises owned wholly or in part by the attorney or some other folks who are working closely with the attorney. With contingency fees another sub-issue is what constitutes expenses. Some retainer agreements charge for things most reputable tort law firms would never charge for: postage, in-house copying, in-house phone and faxes, in-house word and data processing, in-house investigator fees, etc. Sometimes a firm will even assign a number — say $1,500 or more — to these general non-case specific expenses and state in the retainer they intend to take this out of the first funds received. In contrast, reputable firms charge costs in a personal injury suit for direct expenses on behalf of the client, such as expert witnesses, deposition transcripts from independent firms, court fees, actual expenses incurred when the attorney or investigator travels to some forsaken spot to track down and interview a witness specific to your case, etc., as opposed to office overhead type expenses. Hybrid arrangements. Some attorneys may suggest a hybrid arrangement. You might have to come up with a promise to pay the expenses (and perhaps even the attorney’s hours at a reduced rate) whether the attorney wins or loses your case. You may have to pay just the direct expenses or maybe even pay the overhead type of expenses. These arrangements sometimes occur if the attorney or firm simply is not big enough to afford the expenses should you lose, but generally that concept is coupled with the fact that the attorney or firm may think that the case you have is a bit too risky. So if you have been shopping around and find the more traditional and specialized tort law firms aren’t interested in your case, you need to get a reading on why. Usually their letter to you will simply say they don’t have the time, but you need to get some information (which will never be in writing because it would hurt you if it was) as to whether they think your case is too small for them (the damages aren’t solid enough because you haven’t been sufficiently injured, there is no defendant who has money, etc. ), or too risky (the question of liability isn’t solid enough because the law is weak, your facts are weak, etc.) Liability in a tort case has to do with whether you were owed by duty by someone, whether that duty was breached, and whether the breach of duty caused you harm. Damages in a tort case involve loss of time from work, medical costs, loss of enjoyment of life, etc. Comparison shop among law firms; look at their retainer agreements and anything else they may have in print or on the web. Don’t sign anything until you’ve had a chance to take it home and look it over. Always make decisions in a less stressful, less rushed environment. Then you’ll be able to make your own informed decision on how to proceed. You might want to believe that the attorney will take care of everything and hopefully they will take care of most things, but you must stay on top of things no matter what. That means you must understand generally the time line for your case and check in to assure your case is on track. You need regular communication. You must carefully read everything your lawyer sends you and not sign things in blank. You must respond in a timely fashion to your lawyers requests for information and assistance. Etc. One problem arises if a worker or his/her attorney doesn’t factor in what may happen in the future with respect to medical care. In workers’ compensation, a settlement is based upon amounts assigned to cover permanent disability, vocational rehabilitation, future medical care, etc. These are each separate numbers which together comprise the settlement offer. When a workers’ compensation case is settled, not everything needs to be settled. However, if certain parts of the case are “left open” – such as future medical care – the settlement offer is often much less than if the future medical claims are settled. If the worker settles out future medical care, this means the worker will be prohibited from going back to the workers’ compensation carrier for future medical care. The total amount of cash offered to the worker will never really cover what the worker will need in the future to offset the disability, to pay for vocational rehabilitation, to cover future medical care, etc., but the case must either be settled or go to trial. Some injured workers may want to settle their case for more money and waive future medical care. Some attorneys may advise them to do so. Workers may need the money now. The worker may believe there will be fewer medical problems related to the work-related injury in the future or that some other insurance may cover the medical care. On the other hand, the worker may think the future will hold problems, not be willing to take the chance, be willing to take a smaller cash settlement and refuse to settle the future medical care component of their workers’ compensation case. Some see a conflict here should an attorney advise a worker to settle out future medical care. Since that will provide a bigger pot of settlement money which provides both the worker and the lawyer more in their respective shares, some may think the lawyer is urging such a settlement just to have a bigger share in attorney fees. Does that mean that you and your workers’ comp attorney have a conflict about fees? Not necessarily. Remember there are other reasons to settle out future medical care. For example, you might be unable to get the medical care you want through the system it may just be too big a hassle and you might decide to take the money and get out. A second problem arises in how the worker and the attorney view the temporary disability period. The temporary disability period may be flexible. It depends on the medical evaluator and other factors. Again the workers’ compensation case will not cover what the worker will need in the future. Some injured workers may want to return to work as quickly as possible after the medical provider is sure that this is safe. Some workers may hesitate despite medical advice that it is safe to go back to work. Some attorneys may advise them to hesitate. If one believes it is best for a worker to return to work as soon as it is medically appropriate and not rely on an inadequate workers’ compensation system, one may see a conflict should an attorney advise a worker to extend time on temporary disability. By staying longer on temporary disability, there is a larger pot of money that may ultimately go to the worker in the case; that larger pot is also the basis for a larger attorney fee. Staying off work longer can lead to problems. Going back to work to soon may also lead to problems. The solution here is that the attorney and worker should thoroughly discuss all options. The key here is for the injured worker to make a reasoned decision. Know what you are facing. Consider the reality of the future. Listen to the advice of your attorney and then make your own decision. 1There are problems in the workers’ compensation system regarding settlements because the system does not provide adequate compensation to an injured worker. Sometimes this inadequacy leads to what may appear as a conflict between an attorney and his or her client. There is no need for conflict if the worker and attorney carefully discuss all aspects of the case.